This is a great book about leadership for young readers. David is voted captain of his hockey team. In order to be a good captain he wants to emulate his favorite captains, Wendel Clark of the Toronto Maple Leafs and Wayne Gretzky of the Los Angeles Kings. 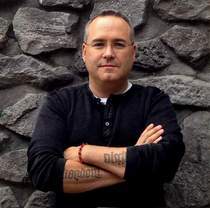 He also spends time studying other Canadian leaders like Jean Beliveau, Marilyn Bell, Nancy Greene, Sir John A Macdonald, Pierre Trudeau, Terry Fox, Rick Hansen and many more. Over the hockey season he does become a better captain, and gets to watch a Western conference final between his two favorite captains in the NHL. (though this version of the story omits the notorious high stick by the great one in that series.) This is a wonderful book, both about hockey and leadership. 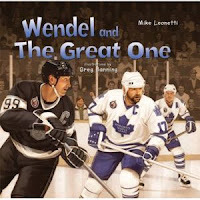 I was and never will be a leaf's fan but I have always appreciated Wendel's skill.